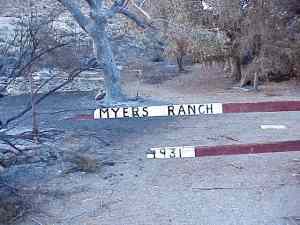 Barker Ranch is historically signifigant because it is the site where Charlie Manson kept his "family," and was captured. The site is now contained within Death Valley National Park, but barely so. Barker Ranch house. September 28, 1998. 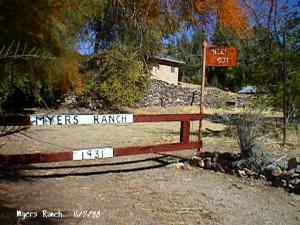 Meyers Ranch house. October, 1998. 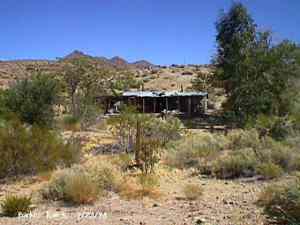 This ranch house has since burned down and was located just a half mile from the Barker Ranch. 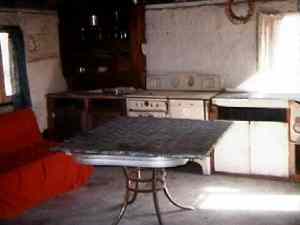 Inside of Barker Ranch house. September 7, 1996. 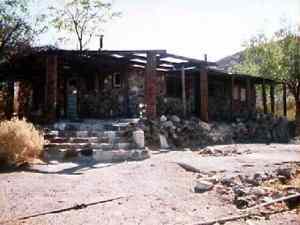 Barker Ranch house, the site of Charlie Manson's infamous hideaway after the gruesome Tate-LaBianca murders. It was here that an army of county, state and US police captured Manson and his large "family" of teenage and young adult followers. September 7, 1996. 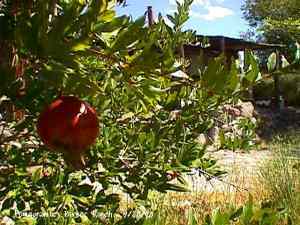 Pomagranites are ripe, sweet and growing wild at Barker Ranch. September 28, 1998.